From Porlock to Lynton where Exmoor meets the Sea. . Walk or climb Contisbury Hill with stunning views along the Coast, and on a clear day far across the Bristol Channel. From Barnstaple to Instow Bideford Appledore to Westward Ho to Clovelly -the village a delight to explore, particularly out of Season or late in the afternoon when the crowds have gone. Clovelly Hartland. North Devon some of the most dramatic cliff scenery in the county, indeed in South West England. In winter storm lashed by the worst of the Atlantic Gales. On a clear day views across to Lundy. Hartland to Bude . 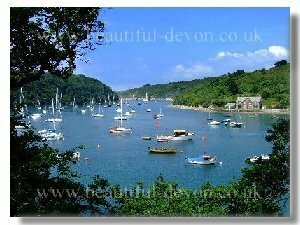 This is another stretch of the North Devon Coast Path providing some of the most strenuous walking, dipping into combes with sometimes steep climbs out of the bottom of the valleys as the South West Coastal Path heads towards the Cornwall border. The Cornwall Coast Path . Bude to Boscastle Tintagel Padstow hence to Newquay The coast north of Bude to Northcott Mouth and Sandymouth and towards Morwenstow provides dramatic views no more so than Duckpool. Dartmouth to Salcombe passing South Devon beaches such as Blackpool Sands. Wembury to Plymouth and the River Tamar . Cornwall Coast Looe to Rame Head. With the right wave conditions Whitsand Bay popular with surfers. Please read our disclaimer. Know your own limits. Take suitable equipment, weatherproof clothing and sensible footwear. Though the route is generally well marked, have a decent map to hand. Tell someone you can trust your route, destination and expected arrival time. Take a mobile phone, but expect to have 'no signal' in places. Take care. Cliffs by their nature are unstable- keep away from edges and do not wander, or sunbathe beneath them. Rock falls can and do occur without notice at any time of year. Beware paths can be slippery and uneven. Be aware of the tide, weather and sea conditions. Water crossing's by wading can be very dangerous. Use the ferry if there is one.